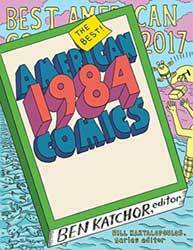 Ben Katchor, ed., Best American Comics 2017 (Houghton Mifflin Harcourt, 2017). $25, hc. The Best American Comics is an annual collection of previously released excerpts from both established and up-and-coming talents. The beauty of this ongoing series is that it is guest-edited each year by a different comics creator (previous editors include Harvey Pekar, Chris Ware, Lynda Barry, Charles Burns, Neil Gaiman and Allison Bechdel, among others). The flipside, of course, is that there is no consistency in terms of the selection criteria. 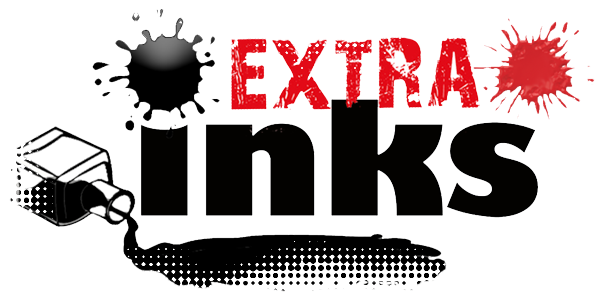 Each year is a grab-bag of favorites from an esteemed comics creator, subject to the tastes and aesthetic-preferences of a single voice. I’m fine with that, myself, as I think its part of the series’ charm… but you will find lots of grumpy reviews floating around that complain about the choices made. Case in point: there are a few famous names here, like Joe Sacco and Bill Griffith, but many more entries are from self-published creators… some I enjoyed, others not as much, but that’s the whole point of anthologies like this… to offer a diverse range of voices. On the other hand, though, while I was glad to see work from Ed Piskor (Hip Hop Family Tree) and Tim Lane (Happy Hour in America), whose work I’ve quickly come to admire, but was left wondering why so few female artists were included. There’s nice work from Gabrielle Bell and Lale Westvind, both of whom I wasn’t familiar with before. Same with pieces from Dan Zettwoch and Bill Duncan. That’s the biggest reason to pick up this series: it offers a platform for new talent that you might have otherwise missed. Blair Davis is an Associate Professor of Media and Cinema Studies at DePaul University in Chicago. His books include The Battle for the Bs: 1950s Hollywood and the Rebirth of Low Budget Cinema (2012), Movie Comics: Page to Screen/Screen to Page (2017) and Comic Book Movies (2018), all from Rutgers University Press. He serves as a Member-At-Large on the Executive Board of the Comics Studies Society, and appeared on two episodes of the AMC series James Cameron’s Story of Science Fiction.